Litsea laurifolia (Jacq. ), Sebifera glutinosa Lour., Tetranthera laurifolia Jacq. 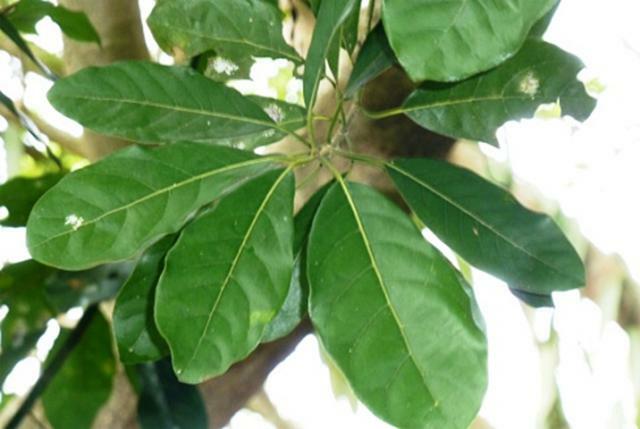 The Indian laurel (Litsea glutinosa (Lour.) C. B. Rob.) is an evergreen, or deciduous, tree that reaches a height of 3-15 m. It is a polymorphic species with leaves that are alternate and elliptical to oblong-elliptical, 3.5-10 × 1.5-11 cm, velvety (particularly when young) or glabrous. Umbels contain many small yellowish flowers, the males having 8-20 stamens. Flowering occurs between March and June and fruits appear in September-October. Fruits are round and about 8 mm or less in diameter. The tree is able to reproduce vegetatively, accounting for over half of the stems produced, mostly from root-suckers (Rabena, 2008; Jacq et al., 2005; Huang Puhua et al., 2008). Litsea glutinosa is a multipurpose, fast-growing tree. In the Northern Philippines, the leaves are chopped and soaked in water to make plaster. While Litsea glutinosa gives a poor timber due to its low wood density, it is often used as fuel (Rabena, 2008). It was introduced as a source of fuelwood, in the Comoros archipelago in the mid 19th century, to meet the high demand of the sugarcane distilleries, and later of the cinnamon, ylang-ylang and citronella distilleries (Vos, 2004). It is also used in ethnomedicine: in India, its bark and leaves are used as a demulcent and mild astringent for diarrhea and dysentery, and the paste of its roots is used as poultice for sprains and bruises (Das et al., 2013). In China, the oil contained in the seed (50%) is used to make soap (Huang Puhua et al., 2008). More recently, Litsea glutinosa has been investigated as a source of essential oils, arabinoxylans and other components with antiseptic properties (Prusti et al., 2008; Qin WenHui et al., 2012; Das et al., 2013). 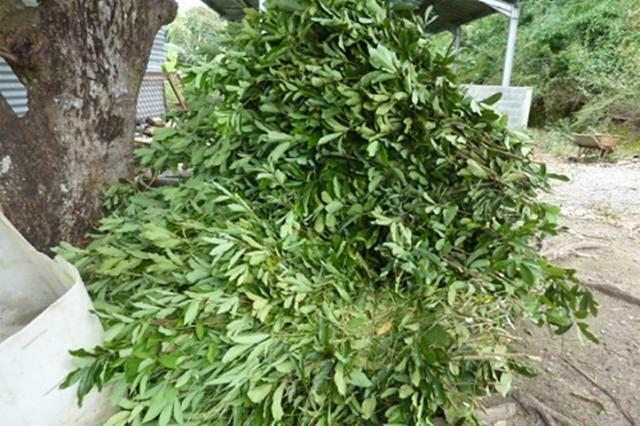 The use of Litsea glutinosa as a fodder tree is particularly developed in Mayotte (Indian Ocean) where it has been reported that 93% of the cattle farmers were using Litsea glutinosa forage (Aubriot, 2011). Litsea glutinosa is native to India, Southern China, Malaysia, Australia and the Western Pacific islands. It has been observed throughout Asia, including several regions of China (Fujian, Guangdong, Guangxi, Hainan, Yunnan), India, Bhutan, Myanmar, Nepal, the Philippines, Thailand and Vietnam (Huang Puhua et al., 2008; GISD, 2012). It has been introduced and is established in Mauritius, Réunion, Mayotte (GISD, 2012) and in the KwaZulu-Natal province in South Africa (Jacq et al., 2005). It grows at an altitude of 500-1900 m above sea level, in forest margins, stream sides, sparse forests or thickets (Huang Puhua et al., 2008). It colonizes all open areas but also survives in more shaded areas. It is also found in undisturbed forest (Vos, 2004). In Mayotte, Litsea glutinosa grows where rainfall exceeds 1200 mm per year (Ninot, 2001). The environmental status of Litsea glutinosa differs between countries. In the Northern Philippines, it is considered as a disappearing useful multipurpose tree and is subject to a conservation program (Rabena, 2008). Globally, Litsea glutinosa is not considered as invasive (Jacq et al., 2005). However, it has a high invasion potential and displaces regenerating native plant species in disturbed environments (GISD, 2012). It is considered as opportunistic in the eastern coastal region of China, and invasive in KwaZulu-Natal and several islands of the Indian Ocean (Mauritius, Réunion, Mayotte), though not in the Seychelles. In Mayotte, its utilization as fodder somewhat alleviates its pest status. 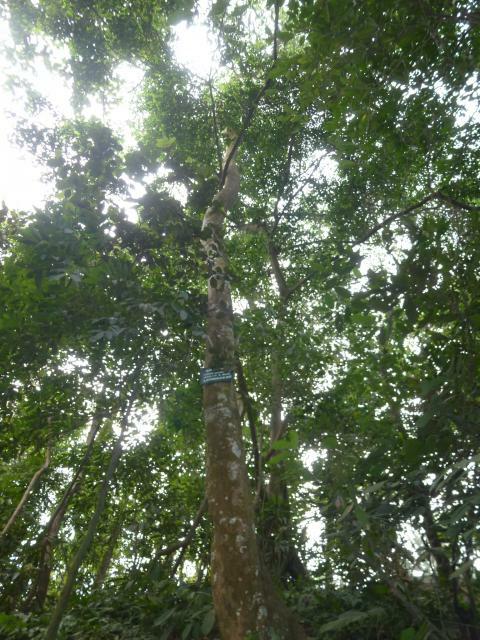 The invasive properties of Litsea glutinosa can also be used for reforestation of damaged soils (Jacq et al., 2005). Litsea glutinosa leaves can contain up to 22% DM as protein and the whole plant contains 16-18% protein due to the presence of stems (11% protein). Likewise, the aerial part contains about 60% NDF while the stems contain 65% NDF. As usual, the composition depends on environmental and climatic factors, and on the stage of maturity (Aubriot, 2011). The leaves of Litsea glutinosa contain tannins (Prusti et al., 2008). Information on the fodder quality and use of Litsea glutinosa is limited. The leaf:stem ratio of the fodder that is usually fed is low (0.8), resulting in about 50% of it being refused (mostly stems). It is, therefore, necessary to cut and distribute twice the amount of fodder to obtain the expected intake. Estimates of in vitro OM digestibility are low: 44-45% for the aerial part and 30% for the stems. In spite of this relatively low nutritive value, half of the cattle farmers in Mayotte use Litsea glutinosa all year round. The other half only feed this fodder during the dry season when feed becomes scarce (Aubriot, 2011). Aubriot, D., 2011. Dynamic study of diets in dairy cattle farms in Mayotte. Rapport de stage, AgroParisTech / CIRAD, 110 p.
Ninot, G., 2001. Typology of cattle farms in Mayotte Island, Comoro Archipelago. Mémoire de DESS, CIRAD-EMVT, Montpellier, 59 p.